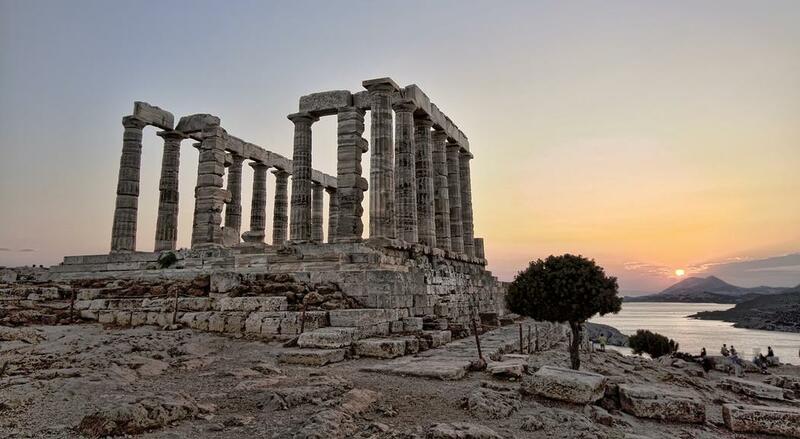 Athens City Tour & Cape Sounion, Including Lunch - GS Travel S.A. This tour gives you an opportunity to observe the striking contrasts that make Athens such a fascinating city. Our expert guides will take you to see the Panathenaic Stadium where the first Olympic Games of modern times were held in 1896 (short stop). Continue and pass by the Temple of Olympian Zeus, the Hadrian’s Arch, the Parliament and the memorial to the Unknown Soldier, the Academy, the University, the National Library, the Constitution Square (Syntagma). On the Acropolis visit the Architectural Masterpieces of the Golden Age of Athens: The Propylaea, the Temple of Athena Nike, the Erechtheion and finally “the harmony between material and spirit”, the monument that “puts order in the mind”, the Parthenon. Continue and visit the place where at last the statues found their home and admire the wonders of the classical era: The new Acropolis museum. Continue in a local restaurant for lunch. After lunch drive along the coastal road, passing the wonderful beaches of Glyfada, Vouliagmeni & Varkiza to the most Southern point of Attica, Cape Sounion, where the white marble pillars of the Temple of Poseidon stand. On the way, you have a splendid view of the Saronic Gulf and the little islands offshore. After visiting the Temple of Poseidon, you have time to walk at leisure on the rocky promontory of Sounion. N. B. Due to certain restrictions in the visiting hours of the new Acropolis museum the order of the program can be changed.